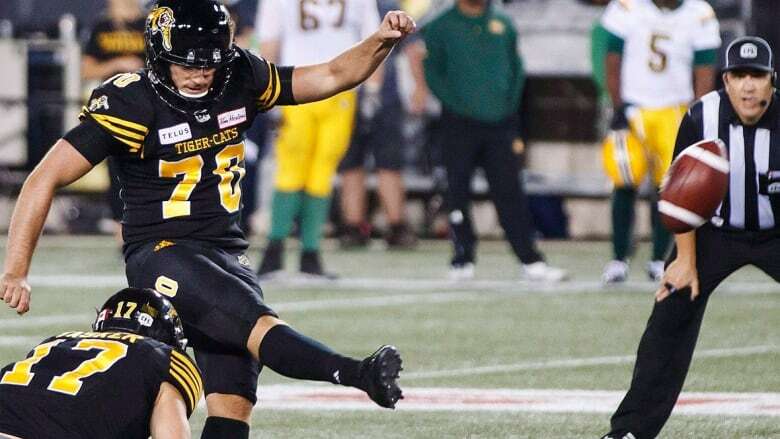 The Hamilton Tiger-Cats re-signed veteran Canadian kicker Lirim Hajrullahu to a two-year contract Monday. The 28-year-old hit 46 of 54 field-goal attempts (85.2 per cent) and 41 of 46 conversions (89.1 per cent) while boasting a 45-yard punting average. The five-foot-11, 205-pound native of St. Catharines, Ont., also hit five of six field goals and made all seven of his converts in two playoff games. Hajrullahu has appeared in 89 career CFL regular-season games with Winnipeg (2014-15), Toronto (2016-17) and Hamilton. He's made 192 of 232 field goals (82.8 per cent) and 155 of 169 single converts (91.7 per cent) with a 44.3-yard punting average.